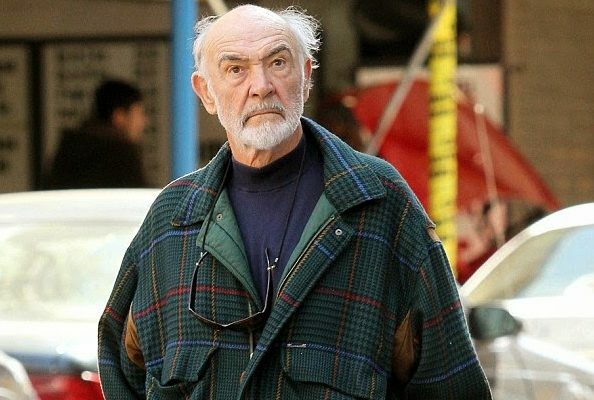 HOLLYWOOD – Disney have officially confirmed that Sean Connery will come out of retirement to play a prominent character in the upcoming Star Wars VII. The problem was that Sean had officially retired so I thought the character would have to be rewritten. Fortunately his agent heard that we wanted him and he got in touch and told us he was interested. He’s an old school pro. As soon as he put on the costume he slipped right into the role. He was just a joy to work with. The very first day we met he called me Brian and began reciting lines of The Untouchables script at random. Then at a script read through he kept calling me Hitch and re-enacted a few scenes from Marnie. I couldn’t believe how much of a joker he was but his agent said that was just his way and that he’s a natural comic. I mean the guy spent the entire shoot pretending he didn’t know where he was and claimed that his agent was drugging him. Then he’d look really confused, start to cry and said all he wanted to do was to go home, watch Murder She Wrote and have a nice cup of tea. His sense of humor was refreshing because a lot of these modern actors take themselves way too seriously. I think the day he pretend to wet himself in the middle a scene was my favourite of his practical jokes. Everyone just cracked up and he looked so sad and disorientated. You know they say George Clooney knows how to have fun on a film set but Connery is the master. Stars Wars VII is due for release in December, 2015. Aprils fools, it’s SO FAKE Abrams talking of script READ THROUGHS and Sean in a COSTUME already. BS. Unless he’s a stunt Kedi ghost for 5-10mins for that 25million filmed on a greenscreen BEFORE the START of principle filming.